Since its ground breaking back in January, the construction of the Muffles High School auditorium is well underway to its completion. And while the administrators at the school hoped to put it in use for this upcoming school year, plans were delayed a bit causing it to be under construction still. Today when we visited with Principal Maria Johnston, we were given an update on the progress. 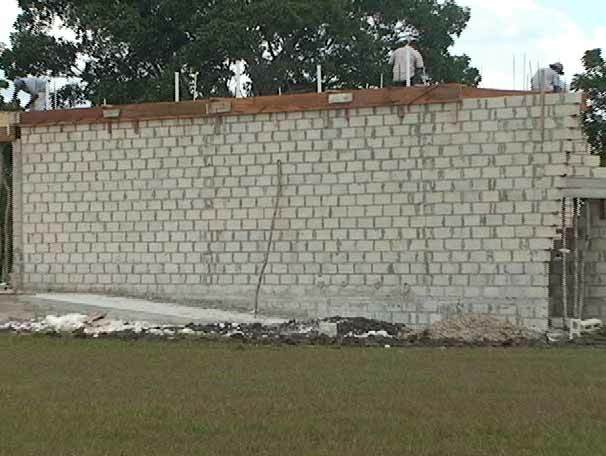 The onsite contractor is Juan Molina. Johnston says they are aiming at the completion of the auditorium for November of this year. The estimated cost to complete the project is $600,000. Johnson says when completed, the facility will be rented out for public functions to subsidize expenses.